Pier Giorgio Frassati was known as a handsome, energetic and devout youth. He was the son of well to do, but faithless patents from Turin, Italy. He would often give his allowance and new clothing to poor and would encourage his peers to attend daily mass before engaging on excursions. 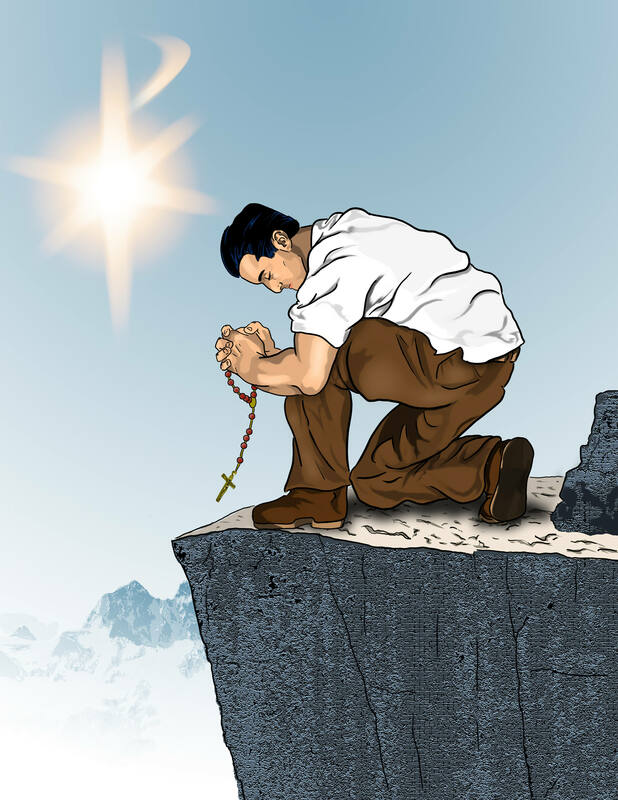 Pier Giorgio used his influence and money to care for the poor, fight the fascism of Il Duce, and lead the young people around him closer to Christ.He was an avid mountain climber and would often find encounters with God at the top of a mountain. Pier Giorgio died young, contracting an illness while caring for his dying grandmother. His parents were surprised when all the poor of Turin, Italy showed up to honor the young man who had done so much in secret for them. Pope St. John Paul II described Blessed Pier Giorgio as the "Man of the 8 Beatitudes"